On 10 September 2015, a Unite union member sustained an injury in a road traffic accident that led him to make a compensation claim with the assistance of Thompsons' personal injury solicitors. Our client had been driving a bin lorry, with two other passengers in the vehicle. He was driving down Strathaven Road in East Kilbride. He joined a roundabout, intending to turn right onto Kingsway. He proceeded onto the roundabout, joining the outside lane. He was getting ready to leave the roundabout when, from the exit to his left, a third-party vehicle entered the roundabout and collided with the passenger side of the lorry. Although our client was unable to see the accident happen, a witness later confirmed that the third-party driver entered the roundabout at speed and had attempted to get in front of the lorry. The impact of the third-party vehicle hitting the bin lorry caused our client to sustain injuries to his neck, shoulder, and lower back. He suffered from ongoing pain in these areas for some time after the collision. He attended hospital the day after his accident and, later, he saw his GP. He needed to take a week off work because of the accident. The bin lorry driver instructed our road traffic accident solicitors through his union, Unite, bringing the claim to us in October 2015. To help us determine the fair amount for our client, we arranged for an appointment with a medical consultant to establish the full extent of his injuries. When we intimated a claim to the third-party insurers, they initially denied liability. We therefore had to raise proceedings in the Hamilton Sheriff Court. We also gathered witness and police statements to strengthen our client's case. 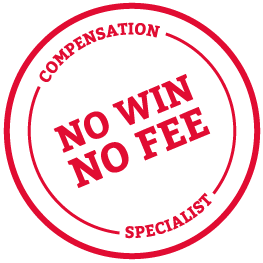 The insurer eventually admitted liability and put forward a Minute of Tender in the sum of £3,300 to cover our client's injuries and recoverable sick pay. We provided our client with some advice on this offer, believing it to be a similar amount to what the Court would be likely to award, and he instructed us to accept it. The case was settled on 23 August 2017.